Here are the events we know of so far; if we missed yours, feel free to leave it in the comments and do send us all your November events, which includes meetups, bakery openings, giveaways, CupcakeCamps, etc. Send Name of event, Time/Date, 2-3 sentence description, Price, URL, images and anything else we should know (international events welcome!) to cupcakestakethecake at gmail.com by October 30th for November. Event organizers/bakeries, please add us to your mailing lists/newsletters so we stay up to date. We update the 30 day rolling RSS calendar on the right-hand side constantly as well. Also, for those in New York, make sure you join the New York Cupcakes Take the Cake Meetup Group to be the first to know about our October and upcoming events; we will of course also post the details here. Carytown Cupcakes is a gourmet cupcake shop located in the boutique-shopping district of Carytown, in Richmond, Virginia. Our shop is inspired by the 1950's-style cupcakes of the famous Magnolia Bakery in New York City. We bake our cupcakes from scratch daily using fresh ingredients just like your grandma. Let us help to make your next event so sweet to eat. Please join us for our Grand Opening during Carytown's First Thursday from 5-8pm on Thursday, October 1st! A little bit of sugar & frosting CAN make a difference. 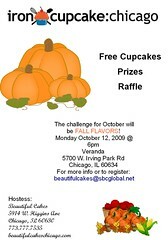 October 1, 2009 at the Roger Smith Hotel, Cupcakes4Charity will be holding our first charity fundraising event. Our goal is to raise awareness and use social media to bring together individuals to make a positive difference in the community, both locally & globally. Mix and mingle. Have cocktails and indulge in some delicious cupcakes. All proceeds from this event will go to help raise money for the American Cancer Society. Cancer has touched many of our lives, so this is our way of supporting Cancer survivors & Cancer research. Donations are welcome. Supporters have been kind enough to donate drink deals, cupcakes, and prize raffles. The main focus is to raise money through sugary, delicious, home baked tasty goodness. Cupcakes will be sold for $2 each with 100% of the profits going to charity. If you wear something Yellow (hat, tie, shirt, dress, or even socks) the cupcakes will only cost a $1, though we may ask to take a photo of you & your Yellow showing your support. FREE event, register at Eventbrite - bakers wanted s well. 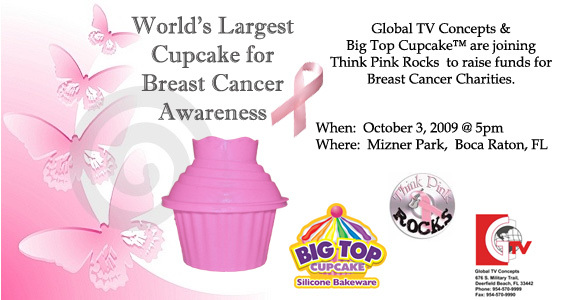 Big Top Cupcake (www.bigtopcupcake.com) is going PINK for Breast Cancer Awareness! We’ll be presenting the World’s Largest Cupcake (1500lbs) – GUINNESS WORLD RECORDS™ will be present. 100% of the proceeds will go to Breast Cancer Charities. Admission:: Cupcake will be distributed for donations. Last year, we threw the first ever CupcakeCamp and it was a delicious success, so much so that it became a worldwide phenomenon. It is with much excitement that we announce San Francisco’s CupcakeCamp for 2009! Seriously, who doesn't like cupcakes? Exactly. 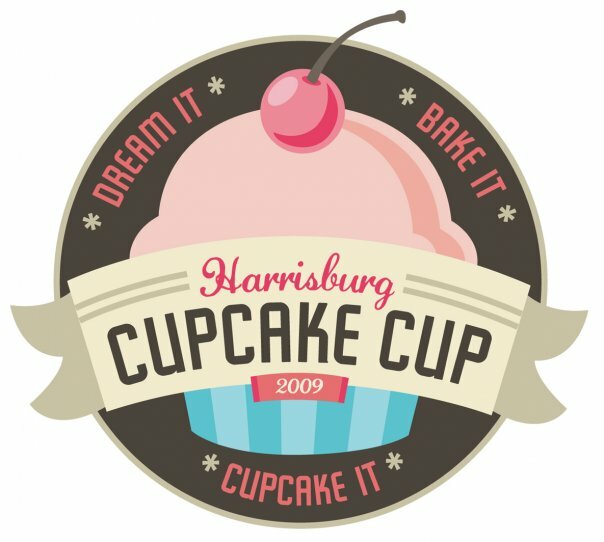 Think of the Harrisburg Cupcake Cup as a cupcake celebration -- an event where bakers of all skill levels can compete with fellow residents of South Central Pennsylvania to be recognized for the tastiest and most creative cupcake. Those who live outside the area can compete in the "Virtual" category, to be judged online by the general public prior to the event. Even if you're not competing, feel free to stop by for the cuppy festivities, complete with a cupcake sampling table. Admission is free, but we are collecting food donations for the Central PA Food Bank. Please bring at least one non-perishable food item per attendee. Contestants should bring 10 non-perishable food items or a $10 donation for the Central PA Food Bank. Here are the most needed items: Ma http://www.centralpafoodbank.org/donate/food-drive.asp. Cupcakes at the sampling table will be worth a $1 donation to the Central PA Food Bank. The doors open at 2 p.m. and the judging begins promptly at 2:30 p.m. Although the address is Ropemaker Street it’s actually on the Citypoint plaza. Just behind the Moorgate tube station entrance that’s in the row of shops including HMV, Hotel Chocolat, Eat and Clinton Cards, you’ll see a very tall building. That’s the Citypoint Tower. Head towards it and you’ll see a paved plaza-type area. Near the base of the Tower you will see a small newsagent kiosk and a Costa, to the left of these (if facing the tower) are The Rack & Tenter, then Prets. Head towards Prets into a covered walkway at the base of City point. This is where the Cuban bar is. We’ll be in the basement. See official Iron Cupcake London website for details. Please join us on a Fall Saturday afternoon for private cupcake party at Indulge Bakery in Lafayette. 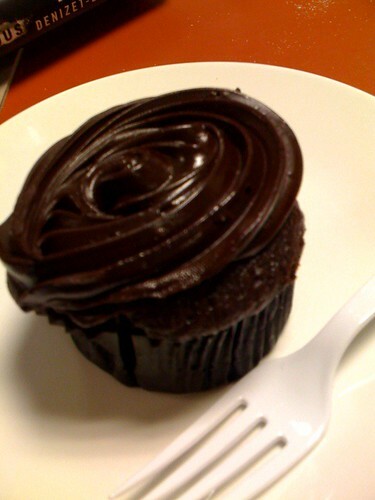 Linda at Indulge Bakery has arranged for us to have our own private party at the bakery just for our cupcake club! 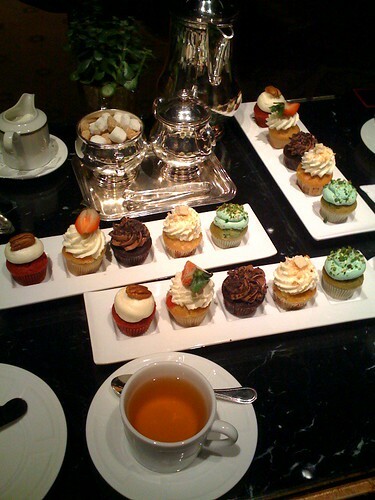 They will bake us a variety of different cupcakes to purchase and have many coffees and teas. Visit the official Meetup group to RSVP/join. It's time for another Cupcake Battle! Autumn is finally showing itself here in Chicago, and I have to say - this is my absolute most favorite time of year! October's challenge is looking for fall flavored cupcakes...Peach Cobbler, maybe? Or Pumpkin Pie? What about Mashed Potatoes and Gravy? Kidding!! So please, come out, eat from FREE CUPCAKES & VOTE! All cupcake entries are judged on both taste and presentation - so the more people I have in attendance, the better my chances of winning for the 4th time in a row! Cupcake baking competition with pink theme. $2 to taste/judge. All proceeds will go the Susan G Komen Foundation. 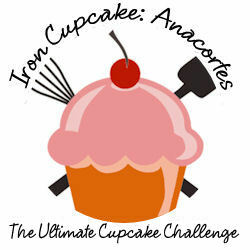 See official Iron Cupcake: Anacortes site for details. 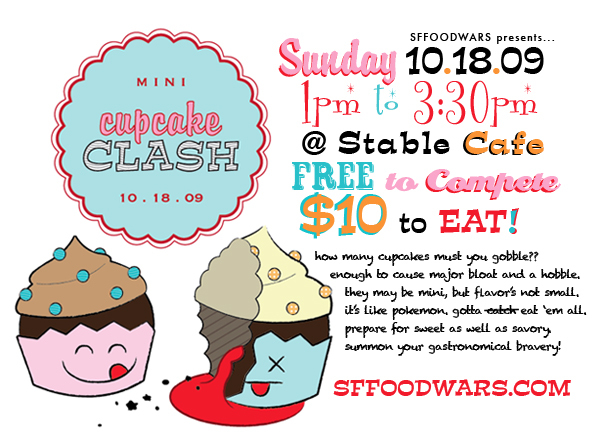 The Mini Cupcake Clash will pin 20 home and professional baking masterminds against each other as they present their miniature morsels of one-bite goodness. Sweet is expected, but savory will NOT be rejected! We will showcase a rainbow of delectable treats, sweet, savory, and maybe some in between. Must purchase tickets in advance, limited to 170. $5 to taste/vote - portion goes to Common Hope Boo Boo Drive. 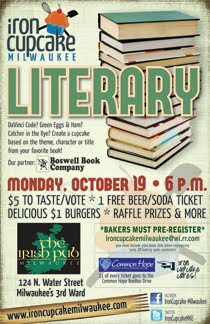 Bakers should register at IronCupcakeMilwaukee@wi.rr.com, first 20 bakers will be accepted. Cupcake baking competition with the theme of pumpkin. Hosted by Kati's Kupcakes. Proceeds benefit The Knight Park Playground Foundation. This meetup is going to be fun and fabulous! Cheesecake Therapy in Arvada will be celebrating Cupcake Celebration Day on Tuesday Oct 27th. They will be offering us fantastic and yummy cupcakes for just 1.00 each (limit 12)!!!!!! The bakers at Cheesecake Therapy will create some scary- fun-crazy-cute-goolish- goblin- spooky- cupcakes for us to celebrate Halloween also!! Or maybe it will be a yummy slice of cheesecake to satisfy your sweet tooth! Oh I wanted to go to the SF Food Wars because I will be in San Francisco that weekend, but the tickets are already sold out! Bummer!